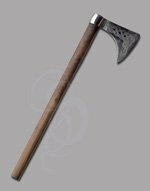 The Franks were a third century Germanic tribe who occupied the region which eventually became France. 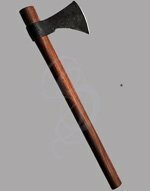 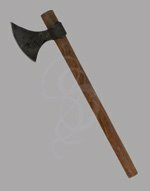 One of the common weapons of the Frankish warrior was a battle axe which could be used in close combat or as a projectile weapon when thrown at an opponent. 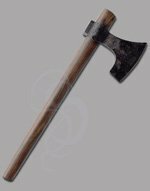 This axe features a sharpened carbon steel head and 17 inch hardwood handle. 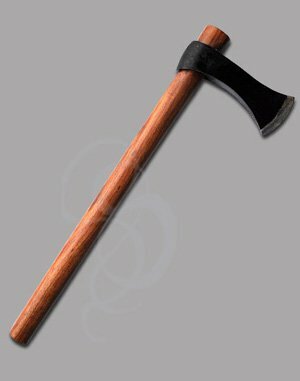 The size, weight and balance of the axe make it comfortable to hold and swing in one hand.